What is the “Junior Section”? The Junior Section is for children ages 8 to 11. As the next Section up from the Anchors, children in the Juniors will continue in personal development. The primary focus for this Section is on ensuring that all the learning and development that takes place is a result of fun filled activities. Members of the Junior Section wear a special uniform that sets them apart from other Sections. 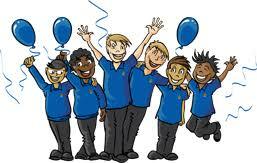 This is a Royal Blue Polo Shirt, with a Royal Blue Sweatshirt along with their school trousers and shoes. An armband is worn on their right arm with any badges on that they have been awarded throughout their time in the Junior Section. Completion of the Anchor Section implies that the children are ready to take the next step towards personal development, which is the Juniors’ Section. Their meetings are loaded with challenges, games and activities most of which have been suggested by them, and at the same time we encourage them to explore new interests. Juniors also get the opportunities to go on a weekend camp or holiday, which brings together everything they have learnt.